It is commonly assumed that hygienic hoses by their very nature are better quality hoses produced to a higher specification which probably costs more money. This is not entirely untrue however there is one fundamental question to consider when choosing a hose: Is this hose going to be used in the process of manufacturing a product for human consumption? The all-important parameter identified here is ‘human consumption’ and if this is the case then a hygienic hose is definitely required. It is, however, common practice for many brewers in UK to use non hygienic (i.e. not FDA/EU approved) hoses in their breweries and micro-breweries either as a result of cost, lack of awareness or receiving poor advice. Another important factor is that much emphasis is of course given to the installation of process equipment whilst hoses are quite often a last minute thought before production commences. The dangers of using non-hygienic hoses are well known. For example most PVC hoses are made from materials that can leach into your product. The plasticizers and Phthalates found in PVC hose can contaminate your products and affect the taste. Furthermore it is also possible that your final product may be contaminated to the extent that it is not fit for human consumption which could have a significant impact on your business and reputation. However, new legislation is in place to help prevent this misconception of what is or is not a suitable hose. 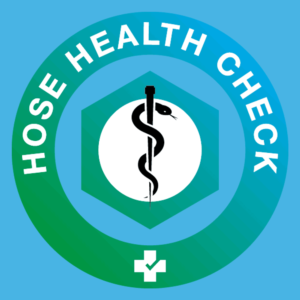 This is because there are many types and variations of hose available in the current marketplace, some products are marketed and branded as FDA / Hygienic and can be manufactured from inferior compounds often as a result of importing cheap products from other countries. The Flextech range of Hygienic hoses are all manufactured with high quality compounds in a clean environment, they are produced on stainless steel mandrels and have full material batch traceability. 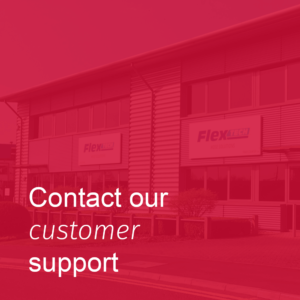 We ensure that the manufacturers who supply hose to Flextech meet our high standards which are expected in the UK market today. As a result we offer a full 12 month / piece of mind product guarantee of Flextech workmanship for hygienic hose assemblies and upon request FDA and full material batch certification for all components / products used in the manufacture of our branded hoses. 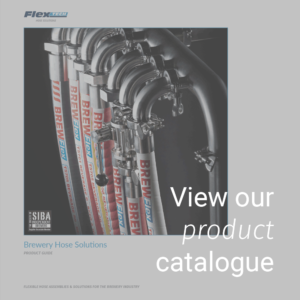 Flextech Hygienic brewery and dairy hoses are designed to meet and be FDA CFR 177.2600 and BfR D.M.21/03/73 food regulations compliant. Our Pharmaflex and PTFE hoses are free from Animal Derived Ingredients (ADI Free) and are USP Class VI compliant to ensure that the product you are manufacturing is safe for human consumption and not contaminated in any way. You can rest assured that your products will not be tainted or affected by our hose or other components that may come into contact during the manufacturing process. This is a common term to describe the hose end connection fittings used in the Brewery, Food Processing, Pharmaceutical and associated industries. Such fittings are usually made from high grade 316L stainless steel, a typical connection usually comprising two halves, one male threaded with female liner the other a female threaded nut which is used to join the two together using a Joint Seal. The fittings have coarse threads with an internal machined finish to eliminate bug traps between the join of the hose and the fitting. The coarse threads offer a high purity solution in comparison to fine threads such as BSP or NPT. The Triclover range of hygienic end fittings are an industry standard, each comprising a two flange system with a Seal and Grooved Clamp which fits over the two flanges to secure the assembly. The design of these fittings which satisfy the necessary hygienic requirements mean that they are the first choice for any consumable processing application.